Electric Wine Corkscrew (P/N 17184). Pull corks within seconds using our sleek electric bottle opener. This electric corkscrew is rated for up to 15,000 cork pulls, and can open up to 30 bottles with each charge. The corkscrew features a stainless-steel body with a blue LED light and push-button operation to remove and eject the cork. Works with natural and synthetic corks. Includes a foil-cutter and UL-approved charger. 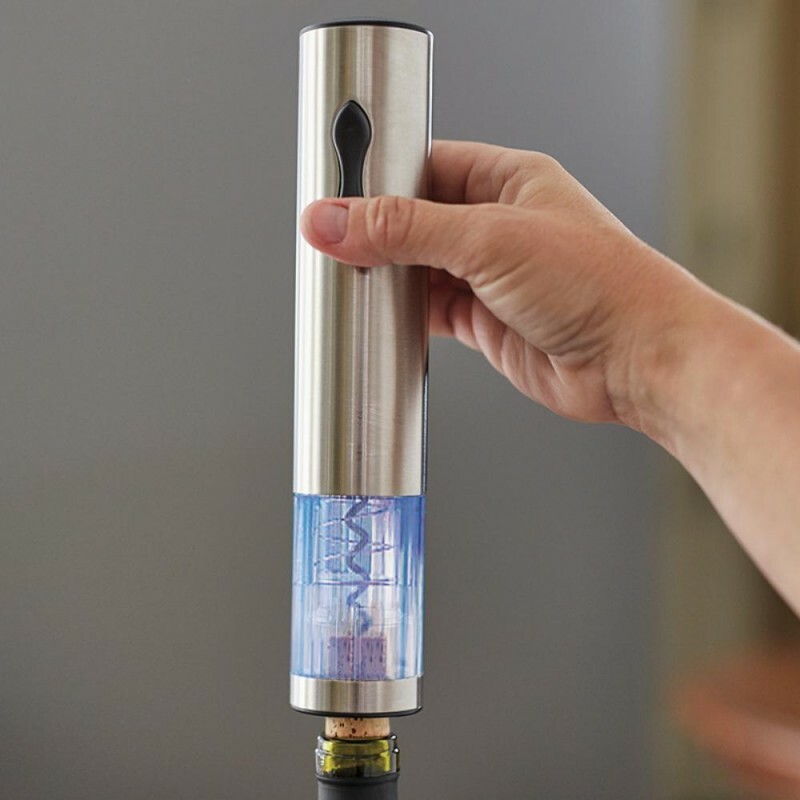 Easily open a bottle of wine with the simple touch of a button.